The Washington Capitals have signed Brooks Laich to 6-year deal worth $27 million. Laich has been a core player with the Caps. He is popular among teammates and fans alike. 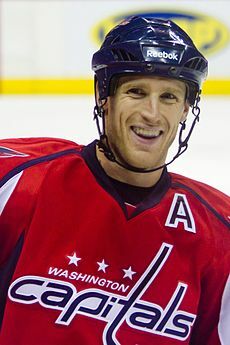 Laich can battle on the boards, deliver a hit and score big goals. He would have been a highly sought after player if he hit the open market, but it seems the Caps were willing to give him market value to stay right where he was. Defenseman Kevin Bieksa has agreed to terms on a 5-year, $23 million deal with the Vancouver Canucks. The team has also signed impending restricted free agent Maxim Lapierre to a two-year contract worth a total of $2 million. 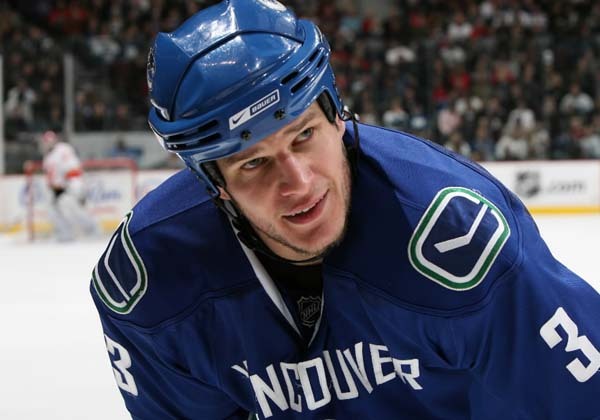 Bieksa known for his shot and nasty streak, received a lot more exposure this post-season due to his fine play throughout the playoffs, which included a dramatic OT winning goal that sent Vancouver to the Finals. Lapierre seemed to be a good fit with the Canucks after failed attempts with both Montreal and Anaheim. He provides an accompaniment to the antagonistic nature of Alex Burrows giving opponents reason to be wary of his antics as well as his ability to score. The Tampa Bay Lightning have re-signed power-play specialist and defenseman Marc-Andre Bergeron to a two-year contract. Terms were not initially announced by the team. TSN reports that RDS claimes it to be a two-year, $2 million deal. 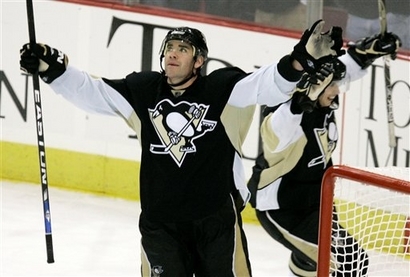 Pascal Dupuis was considered a priority re-signing by the Penguins from the beginning. He is a tireless penalty killer and has the speed, grit and versatility to play on any of the four forward lines. Something the Pittsburgh coaching staff prizes. Bucking the trend of re-signings, CBS Sports reports that Los Angeles Kings center, Oscar Moller, who has shuttled between the Kings and their AHL club has decided to play in Sweden for the upcoming season. Moller, a native of Stockholm, was not mentioned in connection to a team in the SEL, but it is assumed that it is Skelleftea AIK. We will continue to update this post as more happens. Stay tuned. 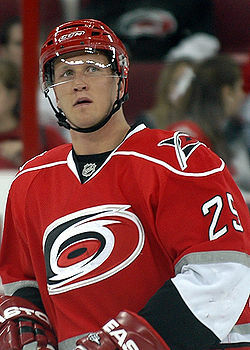 The Carolina Hurricanes have re-signed defenseman Joni Pitkanen to a 3-year, $13.5 million deal. Pitkanen was thought to be out of Carolina's reach just a few weeks ago. Carolina GM Jim Rutherford had mentioned that he expected Pitkanen and others to test free agency, but later stated that he held hope to sign the team's top UFAs. That hope became reality today.